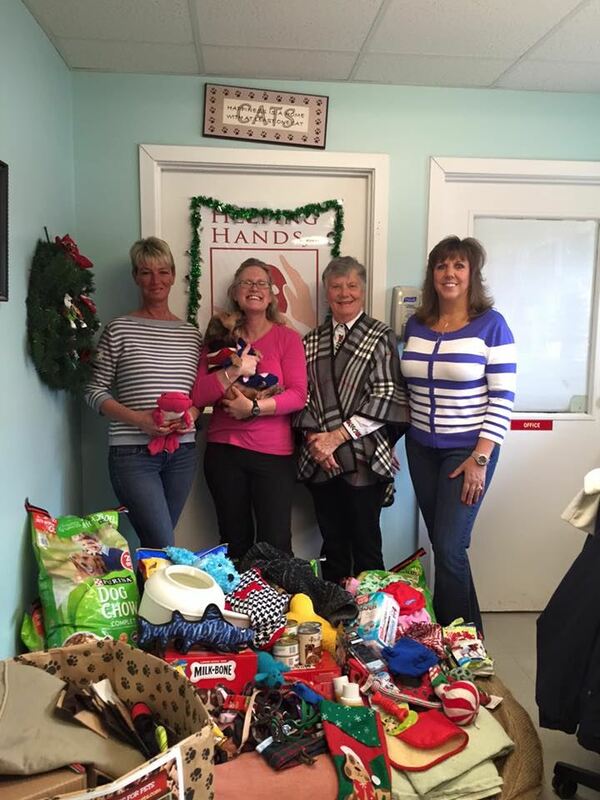 Helping Hands for the Plymouth Animal Shelter, Inc. is a 501c3, all volunteer organization that was founded in 2008 to provide veterinary care for the animals at the Town Shelter beyond the Town's budget. While Plymouth is so big, there are many homeless and stray animals that are found and in need of medical attention. Many animals that arrive at the shelter are not spayed or neutered Some animals arrive sick or injured and are in need of costly emergency medical care. The Town only has a small budget for medical expenses, and that is where we come into play. We have fundraised to collect food and cleaning supplies as well as towels, newspapers and other items to help with the daily operations of the shelter. We do not adopt out animals, receive applications for volunteering or aid in any other operations at the shelter, but we do share photos and other information to help find lost pets and we have helped the public by letting them know which animals are up for adoption. Throughout the year we plan fundraising events, participate in outreach opportunities to spread the word about our work and rely on contributions and In-Kind donations to help the animals at the Plymouth Animal Shelter.